Exclusively ours. 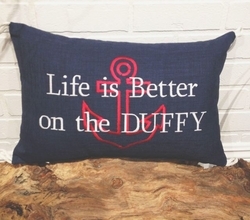 Life is Better on the Duffy measures approximately 12x14. 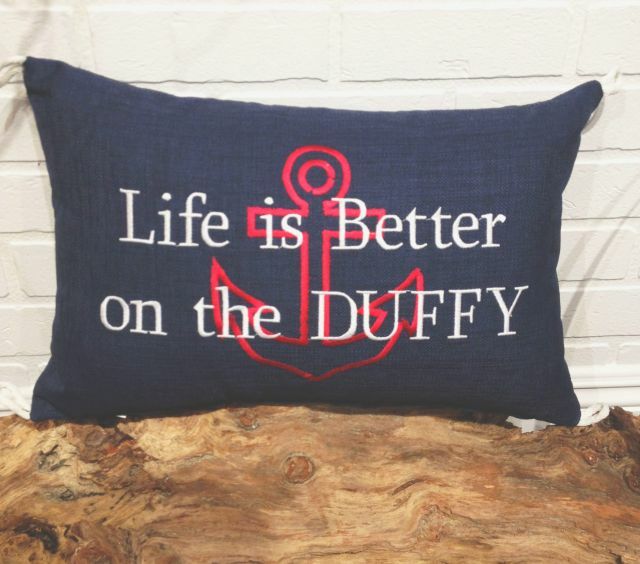 Navy blue with a red Anchor. Comes complete with the insert. Zipper for easy care and cleaning.